Enchanting discoveries await you at every cobblestoned turn in this diverse neighborhood. Here is where history meets modernity, where the museums are as plentiful as the chic boutiques. The Marais is the only Parisian quartier that retains a magical old world feel, a world of Renaissance architecture, narrow streets and crooked medieval buildings. The neighborhood hasn’t shied away from diversity however. Having suffered serious damage after the French Revolution, the Marais exploded in the 1960s to a vibrant artistic community, one ready for the architectural oddity that was the Centre Pompidou, a modern art museum with its pipes and structural infrastructure left completely exposed. Personality-rich bars, restaurants and bustling boutiques sprung to life and a Jewish community continued to thrive. An afternoon wandering through the Marais’ charming, cobblestoned streets will lead you to enchanting discoveries at every turn. Explore the history of Paris in a former medieval palace, grab a falafel on the lively Rue des Rosiers before ducking into a hidden garden or take a pause at Paris’s smallest coffee shop. There is so much to discover in this unique quartier. 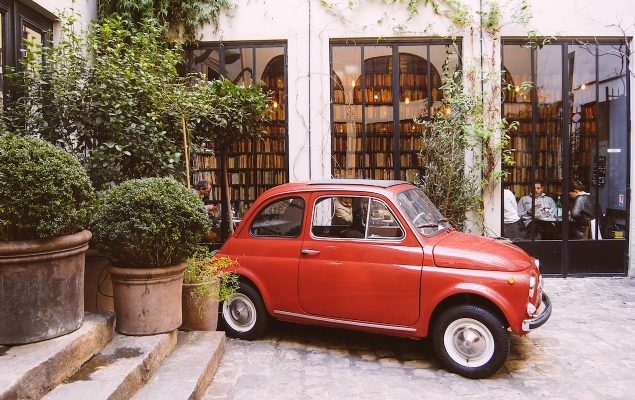 Are you looking to stay in the Marais on your next trip to Paris? Then take a look at the charming 2-bedroom Rosette apartment rental, just steps from the peaceful Place des Vosges, or opt for our La Musique rental, situated in the uber-trendy Haute Marais. Staying here will enable you to discover the latest cultural happenings that Paris has to offer, being in one of the hippest districts of the entire city, while still being steeped in the history that pervades the quiet streets and incredible selection of museums. 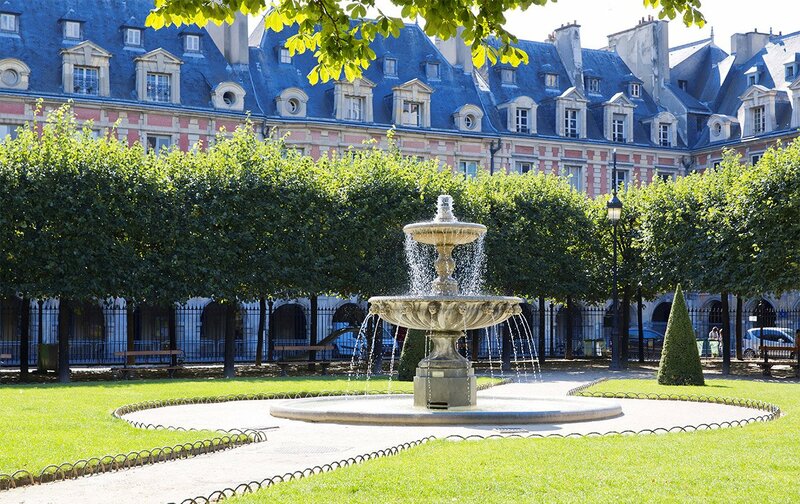 The Place des Vosges is said to be the most beautiful square in Paris, and certainly a stunning one. Built at the debut of the 17th century, the square became the precedent for royal city planning during the Baroque period. Victor Hugo, author of Les Miserables and The Hunchback of Notre Dame, once called the Place des Vosges home at apartment number six. Today, the square is lined with great, shaded trees that provide cool relief to picnickers and sunbathers in the summer months. Instead of homes, the arcade surrounding the square now houses art galleries, restaurants and lively street musicians who impart cinematic ambiance to the square. The Hotel de Sens resembles a dramatic, medieval castle that materializes amid a series of ordinary apartment buildings between Rue de Rivoli and the river Seine. Built between the thirteenth and fourteenth century, it shows a late-Gothic, early Renaissance tendency and has held various functions over the years. Originally built to house the Archbishop of Sens, it most famously housed Queen Margot in 1605. It was also used for commercial purposes after the French revolution, even becoming a glass-maker’s studio in the early 20th century. Today, it stores the Fourney art library and the attached gardens are open to the public. The Saint-Paul village is a unique collection of shops sprinkled throughout a maze of interconnected courtyards. 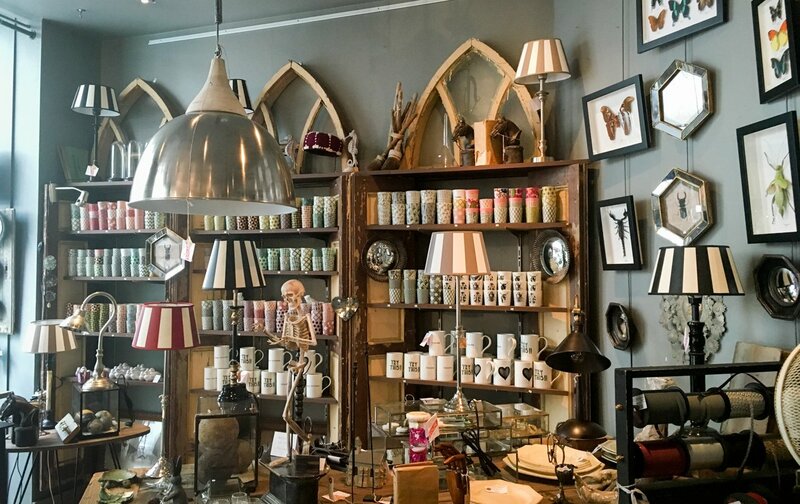 Known as a treasure trove for antique collectors, it also has a few cafés, artisan boutiques, art galleries and pop-up markets. It allows for a perfect afternoon of leisurely shopping - the noise from street traffic is completely muted in these cool courtyards. The history behind the name originates in 1361, when King Charles V started construction on a spacious royal residence, which he called the Hôtel de Saint Pol. Only two generations later, the residence fell out of use, and was destroyed in the 1500s. Today, a single wall remains of the old complex, but the Village Saint Paul, with its charming corners and shops, lives on! 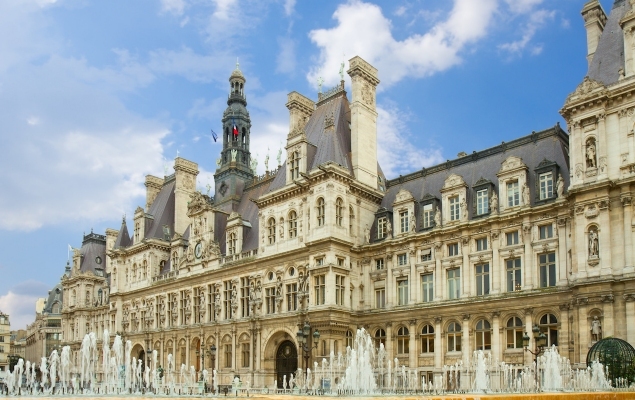 Looming impressively over the Seine, the Hôtel de Ville, or city hall, remains the center of political action in Paris. Originally an open, gravelly square called the Place de Grève, it was utilized as a political execution ring as well as a central meeting point and sloping river harbor. True to the spirit of the Renaissance, a grand city hall was constructed in 1533, but was largely destroyed by fire. Massive nineteenth century reconstructive efforts restored this building to its former glory. Not only for political purposes, this landmark plays host to seasonal events and activities. For instance, in the winter months you will find an outdoor ice skating rink, while various temporary exhibitions on the theme of Paris are organized year-round. Free guided tours are offered of the interior, but you must reserve a space ahead of time. The Marais hits it out of the park when it comes to museums! There’s a little bit of everything for everyone, especially Modern art enthusiasts. The Centre Pompidou sticks out like a sore thumb in a sea of cream and gray buildings, its strange, intricate network of colorful pipes unabashedly snaking over the monumental rectangular form. When it was first built in the 1977, it was a topic of distaste amongst Parisians. These days, however, it holds the title as one of the most important modern art museums in Europe, housing some of the greats such as Duchamp, Kandinsky, and Mondrian, just to name a few. A highlight for many is the view from the top of the massive exterior escalator, one that carries you through a massive transparent tube, the city sprawled out beneath you. Pablo Picasso was one of the most original and prolific artists of the twentieth century. The bulk of his artistic career occurred in Paris, even though his roots lie in Spain. 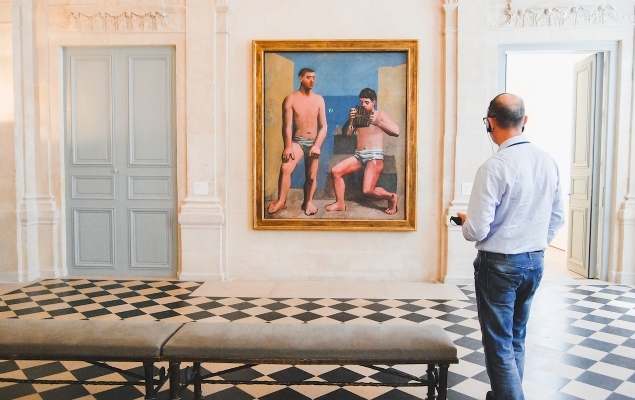 Newly reopened in late 2014 after 5 years of renovation, the Musée Picasso features thousands of priceless artworks: ceramics, sculptures, drawings, paintings, and sketches. The museum presents Picasso’s life chronologically, exploring his winding, dauntless journey into various art movements and styles. Long known for being an eccentric, vivacious fellow, many satirical cartoons depicting his strange mannerisms and style are on display in the museum, presenting a well-rounded view of the cultural climate at the time. Pieces from Picasso’s personal art collection are also on display, works from Cézanne, Degas, Seurat, and Matisse. Think of the Carnavalet Museum as an interactive history book, documenting everything about Paris and its inhabitants from Pre-history to today; it truly brings history to life. The museum is housed in two classic Marais townhouses with beautifully manicured gardens at the center. Each time period is reproduced within the townhouse rooms: Imagine the rugged world of ancient times, or immerse yourself in the stylistic endeavors of the 17th century. The museum has also recreated famous Parisian bedrooms; Marcel Prousts’ bedroom, complete with his notebooks and pens splayed out before him, ready to pen a literary masterpiece. Because the Musée Carnavalet covers such an expansive amount of time, it boasts the widest variety: artworks, ancient street signs, cultural artifacts, and archaeological remains. The Musée Carnavalet truly provides the missing pieces of your Paris exploration. 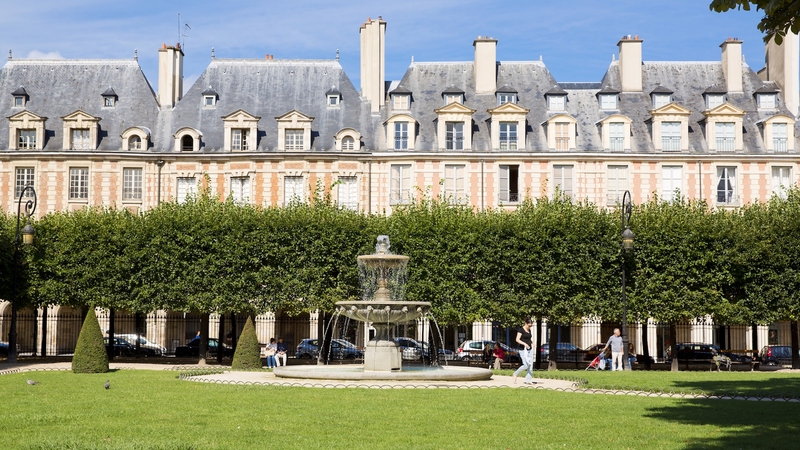 Apartment number 6 in the Place des Vosges is where acclaimed French writer Victor Hugo once found his home. In his second floor room overlooking the picturesque garden-square, he wrote Les Chants du Crepuscule, Les Voix intérieures, and a large portion of the beloved Les Misérables. The apartment tour features the three decisive stages of his creative life through furniture, décor, and memorabilia: pre-exile, exile in Guernsey and post-exile. The first floor displays sketches and iconography of his written work. Inside one of the many old mansions of the Marais, this museum of Jewish art and history focuses on French Jewish cultural heritage through paintings, drawings, textiles and manuscripts. The museum also honors Jewish lives in North Africa and the rest of Europe, all with respect and consideration in regards to the trials and horrors they have endured. The Mémorial de la Shoah illuminates the harsh realities of the Second World War and is dedicated to the memory of the six million Jewish people who perished during those tragic years. In addition, it concentrates on eliminating racism in future generations. A staggering 55,000 photographs and portraits bring you face-to-face with those who were lost. There is also a wall memorializing all 76,000 names of the French Jews taken to Nazi camps in the 1940s. This museum, dedicated to technological and scientific innovation, was founded in 1794 in the spirit of the Enlightenment. It houses several of the most important scientific gadgets from the past including celestial spheres, barometers, clocks and scales, as well as more impressive objects like the cinematograph of the first filmmakers in history, the Lumière brothers, and a scale model of the Statue of Liberty. It’s truly an imaginative, thought-provoking experience! Don’t forget to check out the steampunk metro station underneath the museum, inspired by Jules Verne’s science fiction works - you can find it on the platforms of line 11 at Arts et Métiers. Founders of a prosperous department store in the 1st Arrondissement known as La Samaritaine, Ernest Cognacq and Marie-Louise Jay, funneled their fortune directly into their art collection. Between 1900 and 1925, the married couple collected quite an array of 18th century paintings and sculptures. After their deaths, the extensive collection was donated to the City of Paris after which the 1,200 paintings, drawings and sculptures were brought together to become the Musée Cognacq-Jay. A treasure trove of the finest, most opulent decorative objects, furniture and paintings resides here. Look to the Marais for a wide selection of unique, specialized shopping. You will find all the Parisian style staples like The Kooples, Sandro and Comptoir des Cotonniers, while also stumbling across vintage boutiques and secondhand shops along the way. There’s an abundance of home décor concept shops here as well as a few eccentric surprises. Get ready for some of the very best shopping in Paris! Les Vignoles embraces the tastes of the thoughtful traveler. Lightyears away from the tacky Paris sweatshirts, keychains and shot glasses, this boutique offers clothing and jewelry designed by Paris-based artists. Perhaps a space invader t-shirt (Paris’ most popular street art motif) tickles your fancy or maybe a mini macaron bracelet. Everything in this boutique is inspired by Paris, the vibrant life of the streets and of the people. 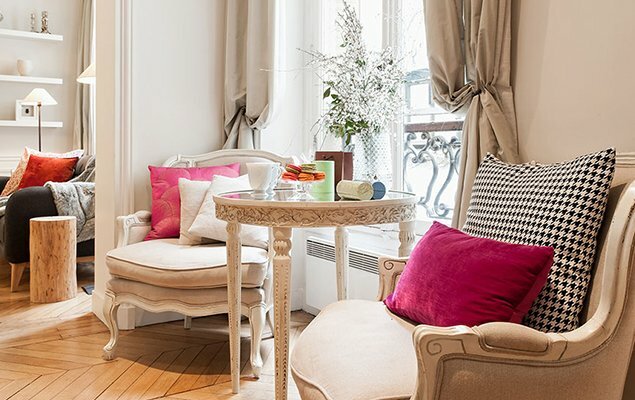 La Belle Hortense provides a tranquil literary escape from the invigorating streets of the Marais. Its bright blue façade immediately catches the eye and draws you in, where you can sit comfortably with your thoughts, a good book and a glass of French wine. The walls are lined with bottles upon bottles of wine and volumes upon volumes of both English and French books, making this place the literary romantic’s dream. Check the calendar, as well: La Belle Hortense features several readings, literary events and small temporary exhibitions to keep things interesting. Garrice provides high-end shoe shopping in the city where proper, well-made shoes are an absolute must: think of all those women over the years tapping through cobblestoned streets in their heels, how do they do it with such grace? The answer lies in quality-made shoes. Garrice’s luxury shoes are the highest quality, providing nary a broken heel and allowing no sole to peel. The various colors, textures, patterns, and embellishments make Garrice’s shoes far from ordinary. Your fashion-forward, sky’s-the-limit Parisian shopping appetite demands a stop here! Hidden away in a quiet courtyard in the Haute Marais, this sky-lit space is perhaps the world’s most unique department store, and everything inside it is hand-picked with an expert eye. From clothing, jewelry and skin care to furniture, gadgets and utensils, this store has everything an urban individual could want. Plus, there’s the dark and cozy Used Book Café on the ground level, and a sustainable, healthy restaurant on the lower level. Walking into Fleux immediately makes you feel both positive and creative. The bright colors and beautiful homewares are a treat to peruse, but if you look closer you’ll find many quirky items that will bring a smile to your face. Spread between three buildings, you’ll find that perfect, personal gift or souvenir whether it be a funny mug, an edgy clock or an old fashioned telephone. For more, see this blog post. The ever-trendy Marais district plays host to an exciting and varied food community, featuring several creative chefs who are rejuvenating the Parisian restaurant scene as well as classic staples that keep the food scene grounded. If a crepe stand is what you crave but interesting café ambiance is what you require, look to Breizh Café. Originating as a Breton crèperie, the interior is lined with wood, lending a sort of seaside charm. Breizh Café offers artisanal ciders served in ceramic bowls and a wonderful selection of high-quality crepe ingredients. 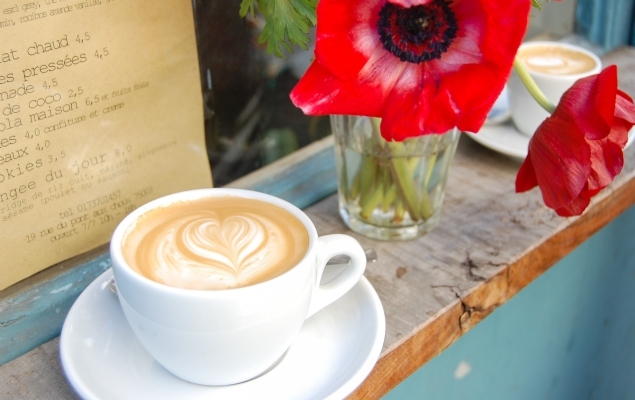 This café is off the beaten track and makes you feel as if you’ve momentarily escaped to the salty shores of Brittany. For casual, easy, and fresh vegetarian fare, head to Café Pinson. Decorated with that quintessentially Parisian mix of elegance and sophisticated modern, you’ll see antique plasterwork walls next to rough brick, and patterned cushions paired with octagonal wooden tables. The food here changes according to the season, offering everything from appetizers, mains, desserts, and fresh cold-press juice. The dairy and meat-rich Parisian diet does not, at first instinct, call for an entirely raw restaurant. However, Cru takes its stand in the Marais with an unusual raw menu. The menu shows passion for both flavor and health, and looks to the natural world to provide its patrons with cleverly constructed meals. Munch on some vegetable “chips” or ceviche and enjoy the ambiance of the back courtyard terrace: a little piece of magic in the Village Saint Paul. For some authentic roaring 20s ambiance, look to Chez Julien. The floral walls, a fireplace, and sparkling chandelier provide a romantic ambiance. Chez Julien focuses on traditional French food: crab salads, steaks, roasted chicken, and duck. In the warmer months, enjoy your meal on the terrace and people-watch for hours along the cobblestoned street. The view from here is one of the best in Paris, looking up toward the back of Église Saint-Gervais rising above a winding pedestrian passageway. Chef Christophe Adam has created some of the most eye-catching éclairs in Paris, and these bar-shaped pastries aren’t merely dough filled with cream - they’re dough filled with exquisite flavors and topped with glaze and various bits of fruit, candy, or chocolate. They look like mini art sculptures. Take some of these to-go, then enjoy them while sitting in the grass at Place des Vosges. The most popular street food in the Marais are the falafels along Rue des Rosiers. In the warmer months, you’ll see ridiculously long lines of hungry people lined up at L’as du Fallafel, the establishement rumored to have the best fallafels Paris. If you don’t fancy waiting in such a long line, don’t worry, the competitors on the same street will be just as tasty. All along Rue des Rosiers you’ll also find authentic Jewish bakeries and cafés. Pop into one for a completely different experience than that of a French bakery. Instead of baguettes and croissants, you’ll find a unique, kosher selection including challah bread, potato pancakes, and more. 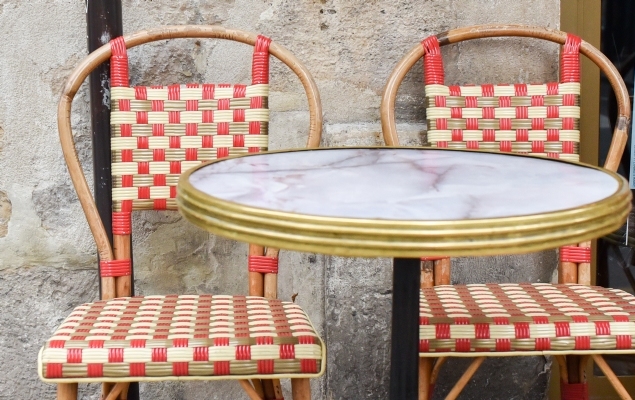 Offering plenty of indoor seating, this was one of the first coffee shops to open in Paris. Not only do they make a variety of coffee-based beverages, they also roast their own beans from various regions around the world. Just a couple blocks from the Place des Vosges is a small, casual café situated on perhaps the quietest, calmest street in Paris. Be sure to try their amazing avocado toast. This teeny tiny cafe is housed in a former shoe repair shop, but what it lacks in size it makes up for in tasty coffee and charm. Since the seating is so limited, it’s perfet for grabbing a caffeine-fix to-go after doing some shopping at the chic concept shop MERCI, just around the corner. 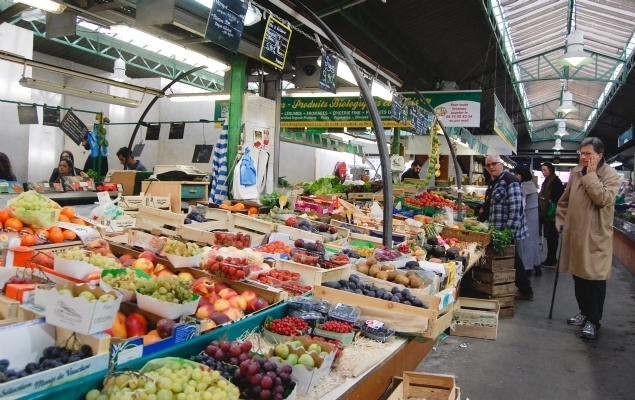 There are two main food markets in the Marais, one in the North and one closer to the river. You will be able to find everything you need, and more! There’s nothing more Parisian than shopping for groceries at an outdoor market. This market is said to be the oldest covered market in Paris. The name, Enfants Rouges, comes from an old nearby orphanage, the children of which wore red. The Marché aux Enfants Rouges is unique, not only offering local and exotic produce, but also prepared cuisine from all around the world. Enjoy a North African, Italian, West Indian, or Japanese meal before stocking up on some ingredients for the following day. This must-see market is open everyday except Monday - from 8:30 am to 7:40 pm Tuesday through Saturday, but closes early at 2:00 pm on Sundays. This street market, just one block away from the Hôtel de Ville, is open every Wednesday from 12:30 p.m. to 8:30 p.m., and every Saturday from 7 a.m. to 3 p.m. The market is filled with all the expected produce: your tomatoes, eggplants, onions, and oranges. It also offers several cheese stalls and meat stands all in an outdoor, rain or shine environment. Transportation to and from the Marais is quite easy, the perimeter of the neighborhood is very well connected. Whether you choose to take an apartment in the Marais or elsewhere, you’ll have plenty of options. Metro line 1 runs along the river, hitting all the central points of Paris. Hôtel de Ville and Saint Paul will bring you closest to the Marais. 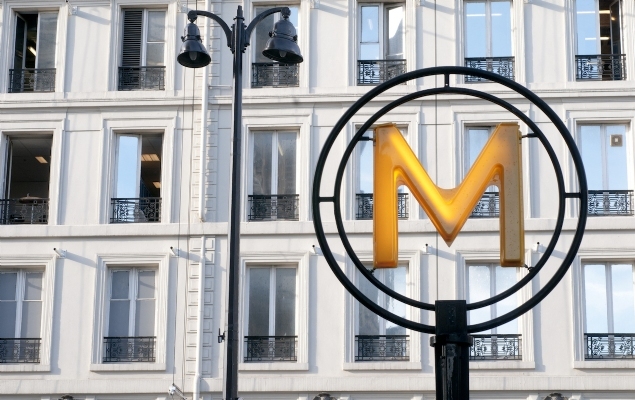 Metro line 11 runs north to south; it stops at Arts + Metiers, Rambuteau, and Hotel de Ville. Metro line 8 runs west to southeast; it stops at St. Sébastien Froissart and Chemin Vert. Metro line 3 runs west to east; it stops at Arts + Metiers, Republique, and Réamur-Sébastapol. Metro line 4 runs north to south; it stops at Réamur-Sébastapol, Étienne-Marcel, and Chatelet. Bus stops are everywhere in Paris. Each bus is marked with its number and end-point across the front. Your T+ metro ticket will work on the bus; however, if you’ve already used your ticket on the metro, you cannot transfer to the bus. If you’ve used the metro ticket on a bus in the previous ninety minutes, however, you can hop on an additional bus without an extra cost. For an alternative, consider getting a mobilis, which allows you unlimited travel within your chosen zones for an entire day. Bus 96 runs west to east through Paris, stopping at convenient Marais locations like Hotel de Ville, Rue de Vielle du Temple, Saint-Paul, and Place des Vosges. Bus Line 38 runs North and South throughout the city; it serves several Marais destinations including Hotel de Ville, Chatelet, Les Halles, Reamur-Sébastapol, and Strasborg-St. Denis. Saint Estèphe – A Fresh 2 Bedroom Apartment in the Heart of the Marais!